How we helped Patagonia connect with fans through an epic road trip. Patagonia is driven by its mission statement – “build the best product, cause no unnecessary harm, use business to inspire and implement solutions to the environmental crisis.” While that message resonated with their existing core audience, the company wanted help connecting to a younger demographic. Here’s how we brought Patagonia’s philosophy to life and delivered it directly to people across the country. 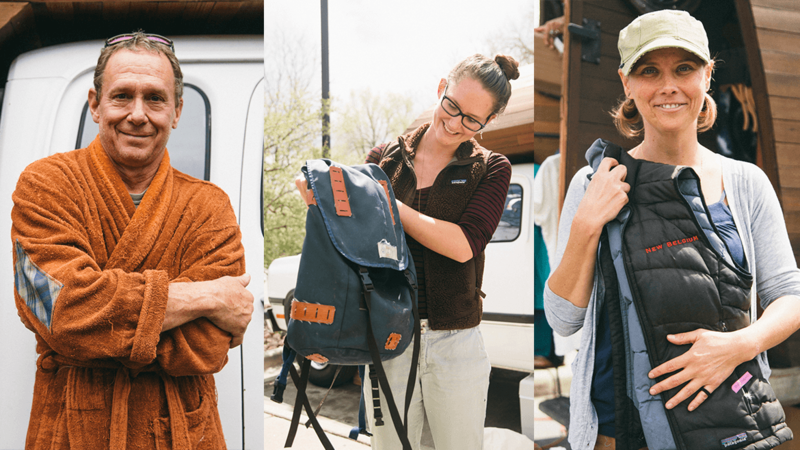 Patagonia not only wanted to reach a new audience, they also wanted to work towards a larger goal – to change the relationship people have with the things they buy. 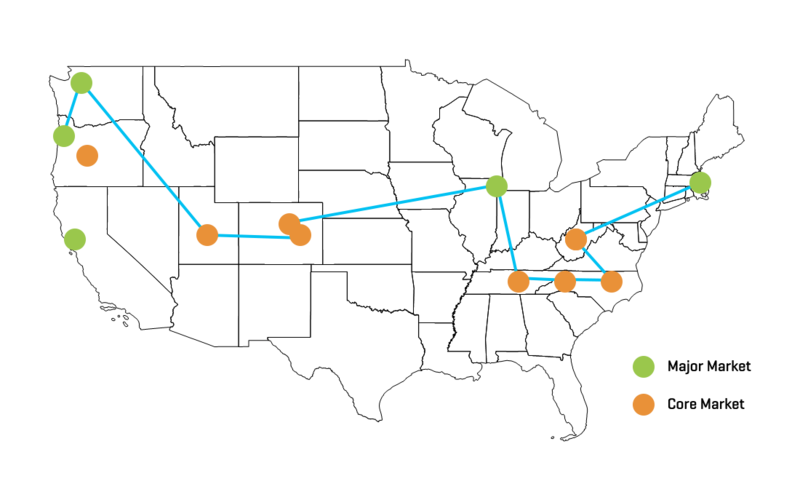 Most companies make money by selling new stuff. 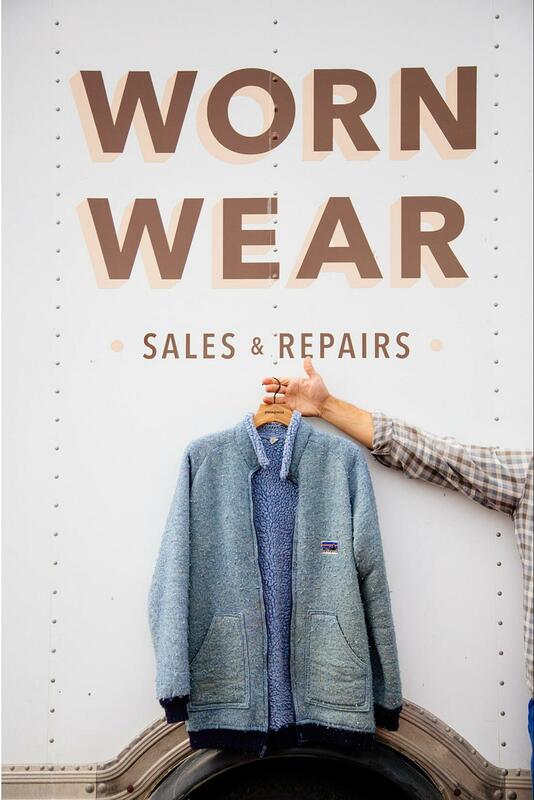 Through its “Worn Wear” program, Patagonia encourages people to repair and reuse existing items. It might be counter-intuitive, but it’s a powerful example of the progressive thinking that Patagonia fans love. So, how could we bring this message to more potential customers ... and the world at large? Patagonia’s counter-intuitive approach had the great advantage of being a disruptive idea – once you saw it, you couldn’t forget it. We had to find a way to get it in front of as many people as possible. Millennials as an audience value self-reliance; they’re naturally DIYers (do-it-yourselfers). 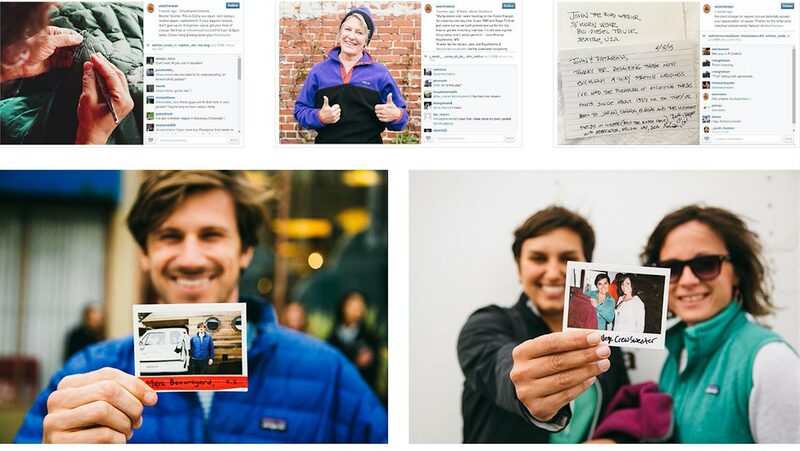 Patagonia’s Worn Wear concept would speak to them if we used it as a tool for empowerment. Fiinally, apparel marketing at its best is a tactile experience. 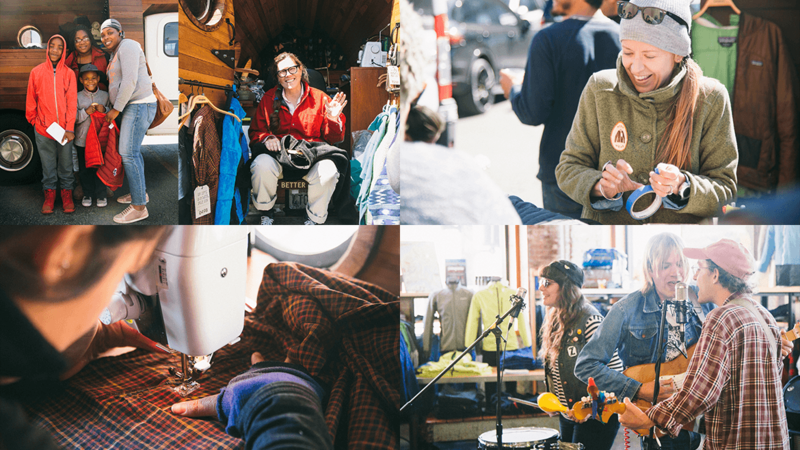 We wanted to get people to “touch the merchandise” and form a stronger bond with the Patagonia brand. We created a mobile experience to take the Worn Wear message from coast to coast, stopping in Patagonia’s core markets and areas with a high density of people sharing the company’s values. 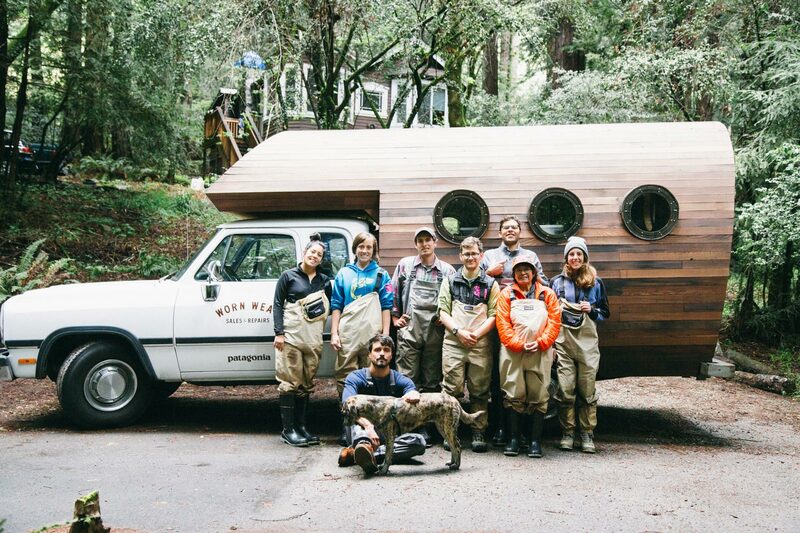 The vehicle for this roving community was Delia, a biodiesel-converted Dodge truck with a beautiful wooden canopy designed by San Francisco surfer/artist Jay Nelson. Through this epic road trip, we shared our message directly to people along the way. And by covering the trip on social media, we spread it even further. The 7-week tour started in the California Bay Area and headed east, stopping at major Patagonia markets and smaller prospective markets along the way. 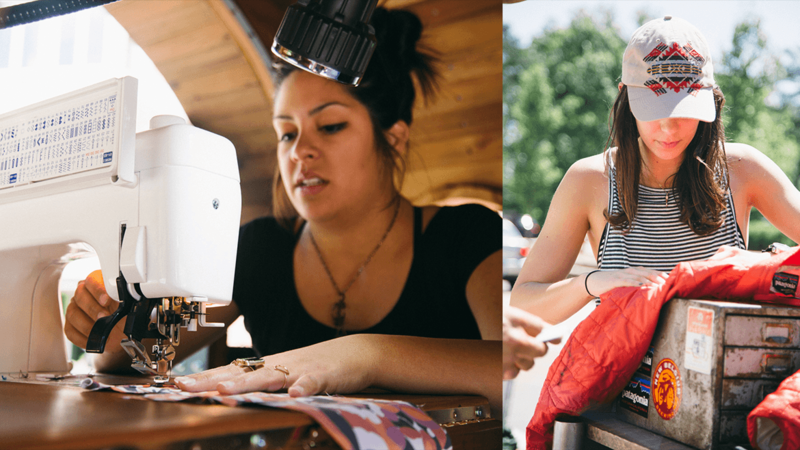 At each stop, Worn Wear tour team members mended and repaired used garments and shared valuable tips to DIYers. We also sold used Worn Wear merchandise through Delia’s pop-up shop. Thanks to a well-articulated strategy that blended PR, digital/social and guerilla marketing tactics, we made sure Delia arrived to excited crowds at each stop. We took the Worn Wear message to college campuses, transit stations, outdoor community boards and local businesses. Delia’s journey was extensively chronicled on Patagonia’s social media channels. A traveling content strategist gathered stories and testimonials from fans about their favorite used items – and how the Worn Wear program and brought new life to them. The result? 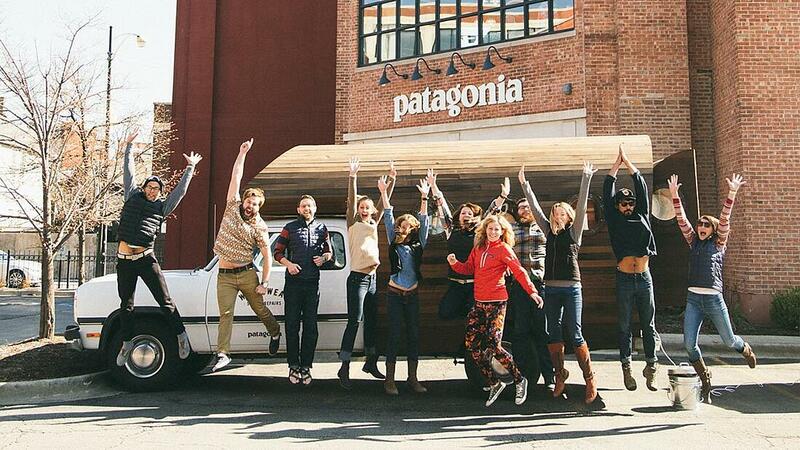 Amazing content that was eagerly devoured by millennials new to the Patagonia brand. Our 42-day, 5,000-mile odyssey was a smashing success. The Worn Wear concept was fully established as an important Patagonia sub-brand. Since our initial voyage, Delia has made additional cross-country trips, spreading the message far and wide.